Gramma’s cancer is back and this time, it’s terminal. 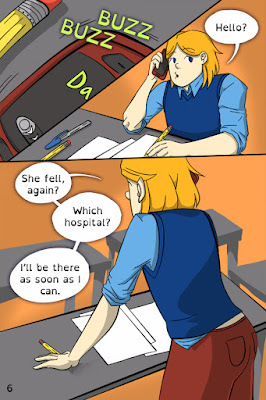 Follow Leigh through their Gramma’s last adventure. When Leigh brings in some of Gramma’s things, they receive their inheritance early! It’s a ring that allows someone to enter another person’s mindscape. 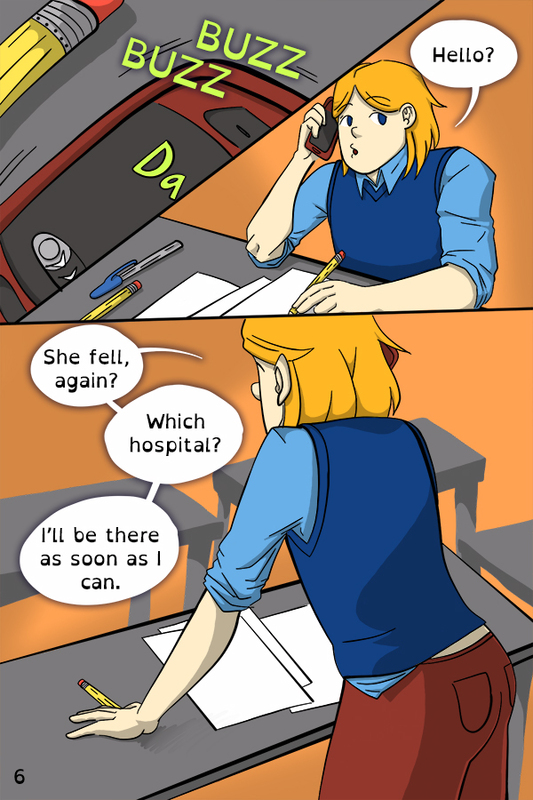 Leigh uses it to visit Gramma beyond her failing body. 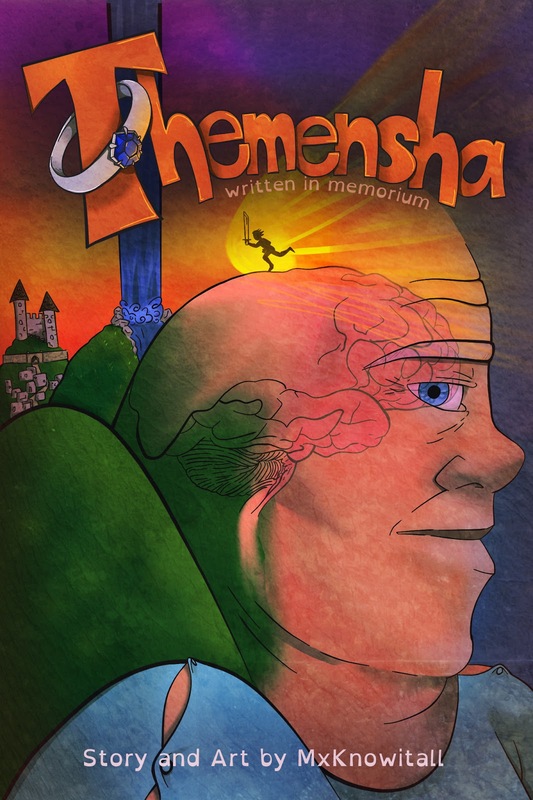 Themensha is a graphic novel written and drawn in memory of my grandmother, who died due to Lymphoma (Brain Cancer) and suffered from Dementia and Alzheimer’s. This story is to bring awareness to those issues, especially for younger readers. It also explores themes of family, mental and emotional fortitude, and LGBT acceptance. Support the effort by securing your copy of Themensha on the Kickstarter at bit.ly/themensha. 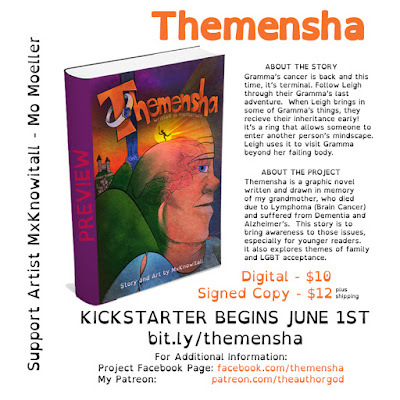 Themensha is written and drawn in memorium of my grandmother, Judith Frye. My grandmother with diagnosed with Lymphoma (Brain Cancer) in 2012 and it was followed by early onset Dementia and Alzheimer’s. She was one of my best and most loving supporters; she encouraged my art, my expression, and my education. When it all started, I knew very little about any of these things, despite having a fair amount of experience with each separately. I was young, so people didn’t want to share the ‘ugly truth’ with me. But, that wasn’t healthy, and I want to make these topics more approachable for families. Toward the end of her lifetime, I was my grandmother’s at-home caregiver. I came out to her everyday. I, usually, receive love and acceptance everyday. There were days that I didn’t, and there were days that she had trouble recognizing me. 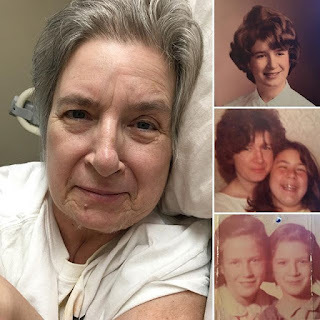 In her final weeks, did my best to present very feminine so that she could connect me to her unraveling memories of a young grandaughter. She stood with me and behind me whoever I was and whoever I became. Her conditions changed her, but I stood behind her whoever she became, too. 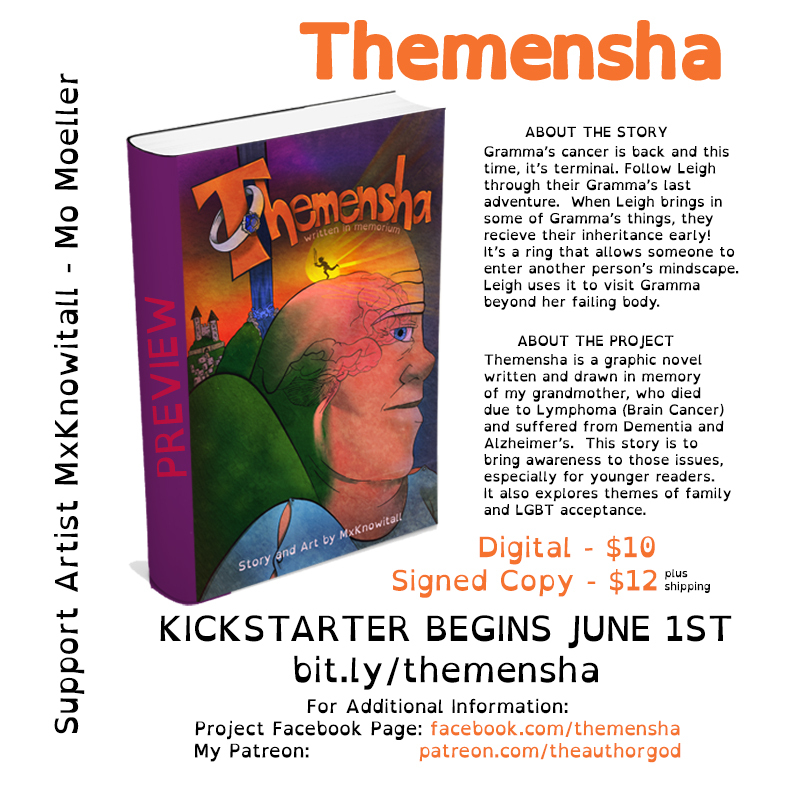 Preorder your copy of Themensha through the Kickstarter at bit.ly/themensha.